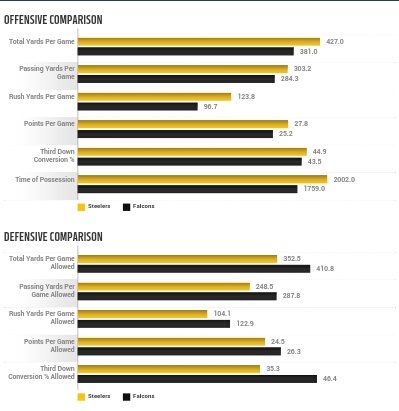 WEEK 15: Steelers vs. Falcons Preview | "IT'S A STEELERS WORLD"! It’s hard to imagine where the Pittsburgh Steelers would be without Le’Veon Bell, who continues to carry the load with the postseason approaching. And this is looking to be another nail biter in the Georgia Dome when the Pittsburgh Steelers go toe-to-toe with the Atlanta Falcons this Sunday. Somewhat of a “trap game” like the other teams the Steelers have faced with a below .500 record. The Steelers try to continue their success against the Falcons as these playoff hopefuls square off at the Georgia Dome. Pittsburgh (8-5) moved within one-half game of Cincinnati for the AFC North lead after a 42-21 road win over the Bengals last Sunday. 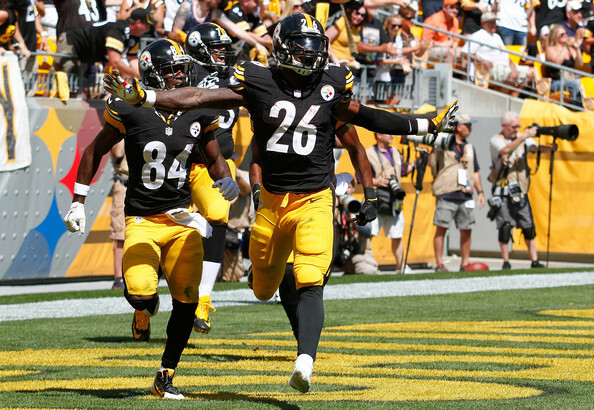 Bell racked up 235 yards from scrimmage and three touchdowns as the Steelers outscored Cincinnati 25-0 in the fourth quarter. Bell joined Hall of Famer Walter Payton as the only running backs to post at least 200 yards from scrimmage in three consecutive games, a stretch during which he’s totaled 711 and five scores. He’s second in the NFL at his position and second on the team with 693 receiving yards. Bell has another favorable matchup against a Falcons defense that’s allowed an NFL-worst 17 rushing scores. The Steelers improved to 12-2 with one tie in the series with a 15-9 win in overtime Sept. 12, 2010. Atlanta (5-8) is still tied with New Orleans atop the NFC South after falling 43-37 at Green Bay on Monday night. Matt Ryan threw for 375 yards and a season-high four touchdowns as the Falcons outscored the Packers 30-12 in the second half. Ryan found Julio Jones (probable for this week’s game) 11 times for a franchise-record 259 yards and a touchdown, giving the Pro Bowl wideout 21 catches for 448 yards in the last two games. While Jones has been wreaking havoc on opposing secondaries, it remains to be seen if he’ll suit up after leaving with a hip injury in the fourth quarter Monday. Safety William Moore is also uncertain to be available due to a foot issue. Jones leads the NFL with 1,428 receiving yards while Pittsburgh’s Antonio Brown ranks second at 1,375. Brown has at least five catches and 50 yards in all 29 games since the start of last season, the longest such stretch in NFL history. Atlanta could lean on Steven Jackson if Jones can’t go. The Falcons average 96.7 rushing yards to rank 23rd in the NFL, but they’re 5-1 when running the ball at least 25 times. The Falcons have averaged 30.0 points in splitting six home games while Pittsburgh has managed 21.7 on the road, nearly two touchdowns lower than its home mark of 35.0. The Steelers, however, have won four of their last six as the visiting team. They have alternated wins and losses in their last five overall.